ATHENS, Ga. – Sophomore point guard Evina Westbrook poured in 10 points in the fourth quarter, but it wasn’t enough to overcome a third-quarter UT shooting slump and Georgia’s second-half rally as UT fell at Stegeman Coliseum, 66-62. 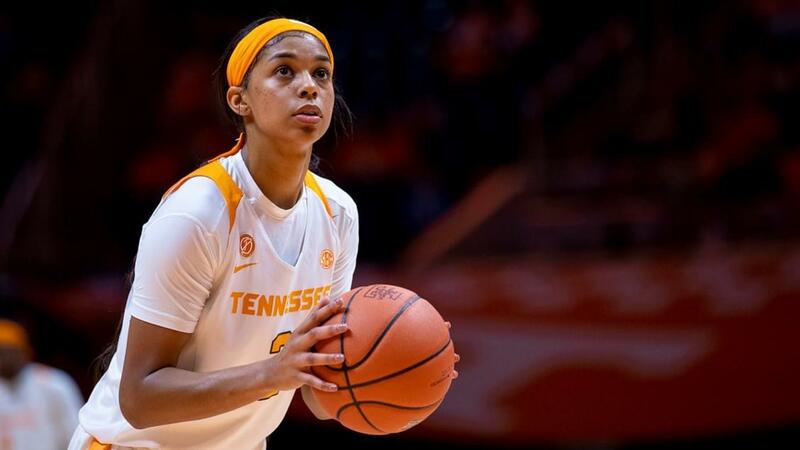 Westbrook led Tennessee in scoring with a game-high 23 points, logging her eighth 20+ point performance of the season. Rennia Davis had six points and 12 rebounds, while Cheridene Green added six points and posted her third straight game in double figures on the boards with 10 caroms. Caliya Robinson was Georgia’s (12-5, 3-1 SEC) high scorer with 15 points. Gabby Connally added 13 points, while Taja Cole and Jenna Staiti each had 12. Meme Jackson gave Tennessee its first lead of the game, knocking down a three on UT’s first possession to go up 3-2 in the opening minute. The lead changed four times before an Evina Westbrook layup with 5:21 left in the period set off a 15-1 run by the Lady Vols to put them up 22-10 by the end of the first. The Lady Bulldogs started the second quarter outscoring Tennessee, 6-2, but the Lady Vols answered with an 8-0 run to take a 16-point lead by the 3:13 mark. UT pushed the lead to 17 with 2:20 remaining in the period on a pair of Davis free throws. Robinson and Stephanie Paul combined for seven points for Georgia in the closing minutes of the half, including a Robinson put-back just before the buzzer to pull the Lady Bulldogs within 12, 36-24. Tennessee’s shooting went cold to start the second half, with the Lady Vols going 0-for-5 from the floor while Georgia cut the lead to six. Zaay Green banked in a 3-pointer with 6:30 to play in the period to put UT back up by nine. UT’s shooting woes continued, however, and Georgia tied the game at 41-all after back-to-back treys by Taja Cole. The teams traded buckets with UT going up 47-46 off a pair of Westbrook free throws. Cole again answered for the Lady Bulldogs, though, hitting her third 3-pointer of the day at the buzzer to give Georgia a 49-47 lead going into the final stanza. Neither team shot well from the floor to begin the fourth, with Tennessee starting 1-4 and Georgia going 1-8 during the first three and a half minutes. The Lady Bulldogs then hit back-to-back layups to go up 57-50 before Westbrook knocked down a jumper to cut the lead to five. UT followed that up with three defensive stops and Westbrook converted buckets on three straight possessions to pull the Big Orange to within one with 3:37 to play. The Lady Bulldogs answered with four straight points, and Tennessee would cut it back to one once more with just over a minute left in the game. The Lady Vols, however, couldn’t overcome the deficit, falling to UGA, 66-62. Up Next: The Lady Vols will be back on the road again Thursday evening, playing at Alabama. The game is scheduled to tip at 9 p.m. 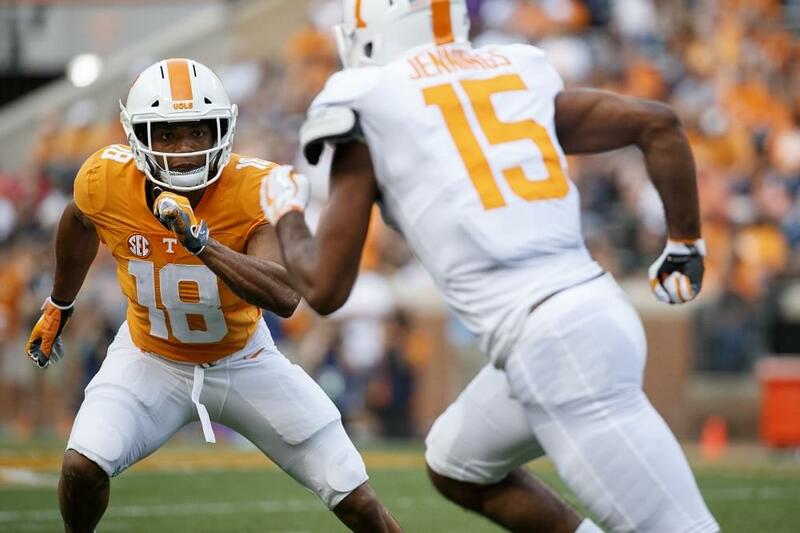 ET (8 p.m. CT) and will be televised on the SEC Network. Points All Around: Every Lady Vol who entered the game for UT scored at least one point against Georgia, marking the first time in SEC play this season that every player has contributed a point. Fourteen of those points came from Tennessee’s bench. Big On The Boards: Tennessee out-rebounded Georgia 54-44 and is averaging 47.0 rpg in SEC play while holding opponents to an average of 34.8 rpg. UT has now beaten 14 of 16 opponents on the glass this season.